PowerPoint Episode Reminder Get a sneak-peek into each new show, delivered straight to your inbox! PowerPoint Devotional Biblical insight for your personal growth each day. PowerPoint Ministries is the radio and television broadcast ministry of Jack Graham, pastor of Prestonwood Baptist Church — a nearly 37,000-member church with three campuses in the Dallas and North Texas region. Through PowerPoint Ministries, Dr. Graham offers practical, biblical steps on how to tap into God's power for successful Christian living. PowerPoint Ministries is the radio and television broadcast ministry of Dr. Jack Graham in Plano, Texas. Dr. Graham is the pastor of Prestonwood Baptist Church, one of the nation's largest, most dynamic congregations. When Dr. Graham came to Prestonwood in 1989, the 8,000-member congregation responded enthusiastically to his straightforward message and powerful preaching style. He challenged the Prestonwood family with a vision for a larger outreach, and in 1999, the church moved from its North Dallas location to a new 7,500-seat auditorium in west Plano. Thriving with more than 33,000 members, Prestonwood continues to grow with seven weekend worship services, four midweek services, about 300 Bible Fellowship classes for all ages, and multiple outreach and community ministries that reach thousands. In 2006, the church added a second location, the North Campus, in a burgeoning area 20 miles north of Plano. And in 2011, Prestonwood returned to its roots—beginning its third location, the Dallas Campus, about two from miles from its original location. Dr. Graham has served two terms as president of the Southern Baptist Convention, the largest American Protestant denomination, with 16 million members and as president of the SBC Pastor’s Conference. 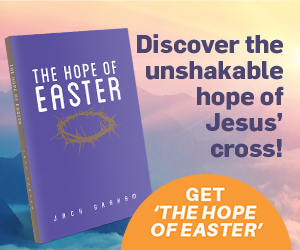 He is a noted author of numerous books, including You Can Make a Difference, Lessons from the Heart, A Hope and a Future, Life According to Jesus, Are you Fit for Life? and Powering Up. Courageous Parenting, co-authored by his wife, Deb, is based on their experiences as parents. Dr. Graham’s passionate, biblical teaching is also seen and heard across the country and throughout the world on PowerPoint Ministries. Through broadcasts, online sermons and e-mail messages, he addresses relevant, everyday issues that are prevalent in our culture and that strike a chord with audiences worldwide. Dr. Graham was ordained to the Gospel ministry in 1970, and has a master of divinity degree with honors and a doctor of ministry degree in Church and Proclamation from Southwestern Baptist Theological Seminary.